Opiods are drugs that work on your nervous system to help dull pain. They also include the illegal drug heroin, fentanyl, and pain relievers like oxycodone (OxyContin®), hydrocodone (Vicodin®), codeine, and morphine. 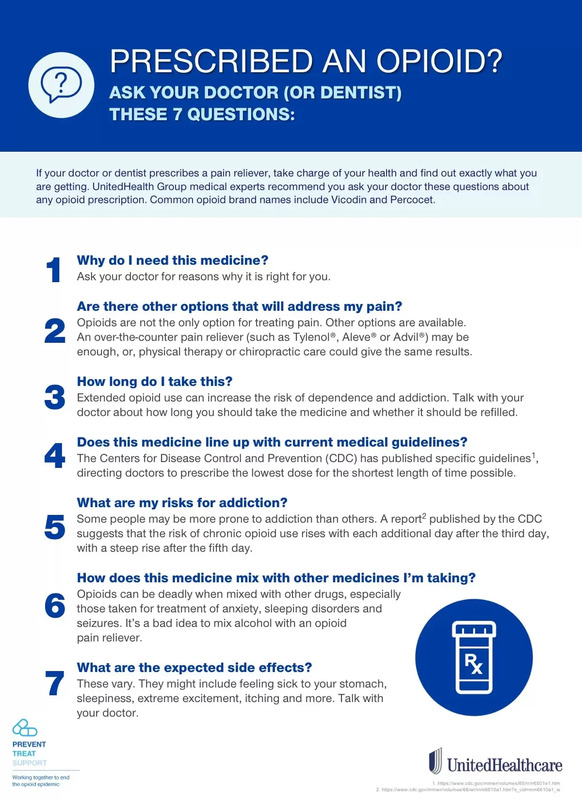 You should always act with caution when being prescribed or taking an Opioid. Today I wanted to share an interview with Dr. Sam Ho, chief medical officer for UnitedHealthcare (my medical provider as well) regarding usage of Opioids. Also follow along on social media via hashtag #infoaboutopioids to learn more! Extended opioid use can increase the risk of dependence and addiction. Talk with your doctor about a how long you should take the medicine and whether it should be refilled. Opioids can be deadly when mixed with other drugs, especially those taken for treatment of anxiety, sleeping disorders and seizures. It’s a bad idea to mix alcohol with an opioid pain reliever or muscle relaxants. Additional resources located at the website: infoaboutopioids.com. This is SO important! I have been prescribed opioids without any instructions or cautions or anything. They just sat in my medicine cabinet because I know people who have become addicted to them without realizing the risks, and I didn’t want that to become my story. I’ve seen the hurt it causes and I’m glad you’re helping raise awareness!